5.Software version: PTT2.03 in 16G USB Flash Drive. 1) ptt1.12/2.40 software mainly can work on volvo vehicles till 2012 and euro 5. It comes with the package. It is provided for free. No need activation. 2) ptt2.03/3.02 software, it can work on volvo vehicles till 2015 and euro 6. This one is not free, if you need this one, you need to pay 230USD to purchase. It needs installation and activation by remote control. This software cannot be installed on VMWARE. After you buy it, we will contact factory to install the software for you. 1. If you need Renault NG3 NG10 software,you need to pay 200USD for additional cost. 2. VOLVO Intermediate Storage File ENCRYPTOR/DECRYPTOR (EDITOR): used for VOLVO programming. 3. Latest Dev2tool 0.4.2 Version for Volvo with Unlimited Keygen: This one used for Parameter Programming for volvo vehicles. Vocom Volvo 88890300 is the latest original diagnostic tool made by Vocom for maintenance of Volvo trucks, Volvo buses and other heavy vehicles made by Volvo. 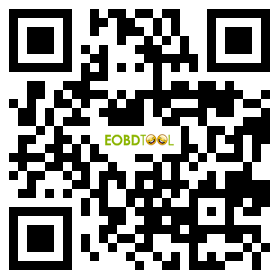 This tool offers complete range of diagnostic operation on Volvo trucks and other heavy vehicles made since year 2002 with a high speed connection to the ECU. For older Volvo heavy vehicles made in year 1998 or earlier all diagnostic operations available on the usual (lower) speed connection to the ECU. Q: What's the difference between Volvo VOCOM(SH56) and Volvo VCADS(SH10-B)?